I have recently written an article for the London Cycling Campaign. Here is an excerpt; full article here. Cargo bikes are increasingly seen as solutions to congestion and pollution in London. Both companies and local authorities are realising that a substantial number of van trips can be substituted with these load-carrying two-wheelers, yielding financial and environmental gains. For instance, one of the main conclusions of the Road Task Force is a recommendation to start a “pilot scheme to shift freight journeys from vans to bicycles”. In its response to the above, Transport for London stated that it will “participate in the EU-funded ‘last mile logistics’ (LaMiLo) project which proposes that goods are delivered to a consolidation centre [at Euston Station] and delivered to their final destinations by less polluting modes of transport including electric vehicles and cycle freight”. Besides the above LaMiLo, the EU is funding the CycleLogistics project with initiatives across the continent. 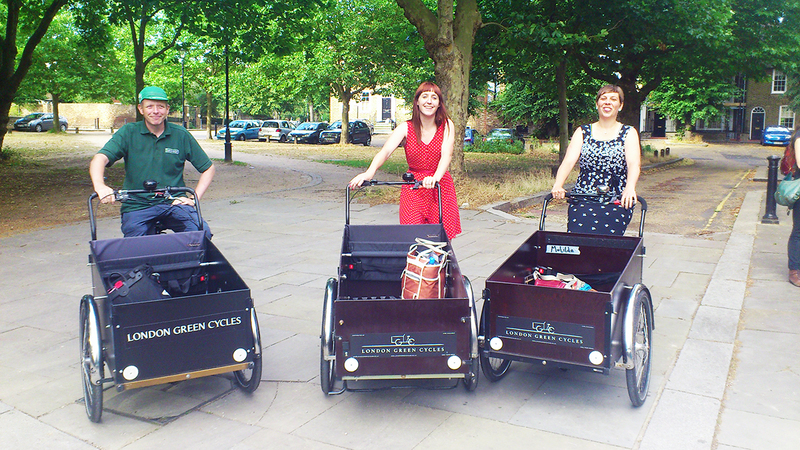 In the UK, Brentford has launched a free cargo bike hire scheme to promote their use. Similar schemes have also been launched by councils in Lambeth, Camden, Hackney and Redbridge. There are now more than a thousand cargo bikes in London used by hundreds of families to transport children and groceries – and by businesses in a wide range of activities, for deliveries, as catering vehicles, and for services such as street cleaning, etc. 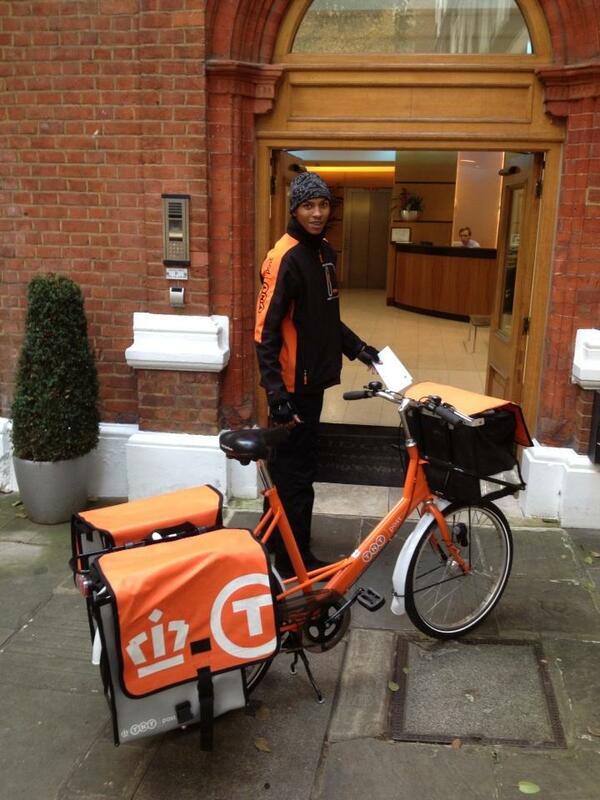 The increasing popularity has led to the establishment of a number of new businesses that sell and service cargo bikes. Among these, London Green Cycles in Camden has opened a new showroom and service centre, while Carry Me in east London offers test rides to families and businesses.